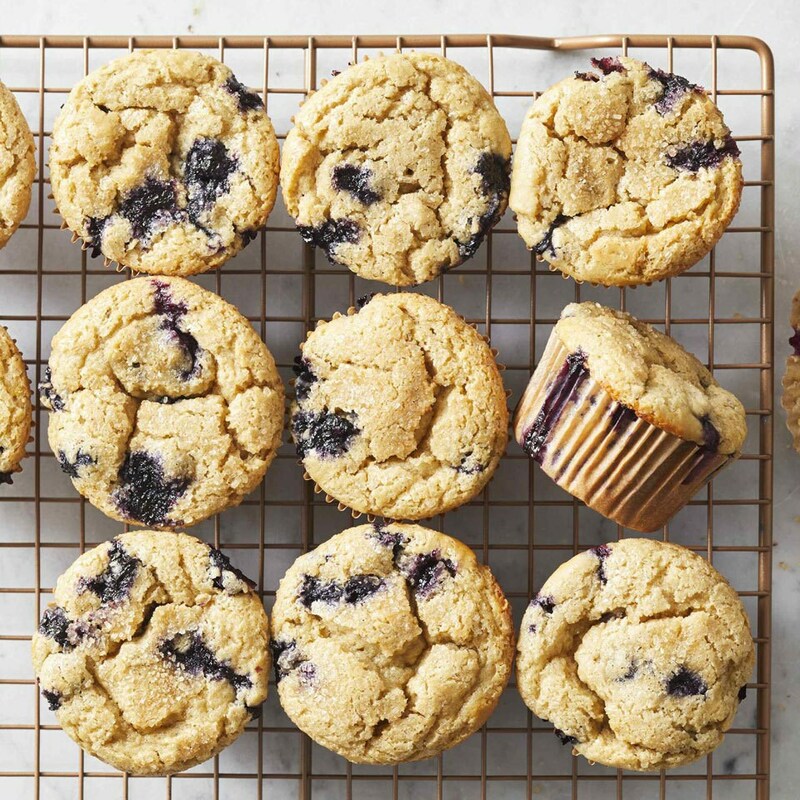 These gluten-free muffins are full of fruit and guaranteed to be a family favorite. Choose your blueberries wisely. Plump, juicy berries with a deep-blue hue are best. Whisk flour, baking powder, baking soda and salt in a medium bowl. Whisk eggs, brown sugar, buttermilk, oil and vanilla in another medium bowl until well combined. Make a well in the center of the dry ingredients and pour in wet ingredients; stir until the batter is smooth. Add blueberries and stir until just combined. Divide the batter among the muffin cups and sprinkle with Demerara sugar. Bake the muffins until starting to turn golden brown and a wooden skewer inserted in the center comes out clean, 20 to 25 minutes. Let cool in the pan for 10 minutes, then transfer to a wire rack and let cool at least 5 minutes before serving. To make ahead: Store, individually wrapped, at room temperature for up to 2 days or in the freezer for up to 1 month. To reheat, remove plastic wrap, wrap in a paper towel and microwave on High for 30 to 45 seconds. Get a full year of EatingWell® for just $10.